Hello Trainer! How can we get along this winter?! | Move fast. Think slow. Reflections on the mental side of sport, performance and wellness. Hello Trainer! How can we get along this winter?! structured training plan in place yet, I had enough motivation to ride for about 45 minutes. Enough time to think about the fact it was only the beginning of the 4-5 month indoor riding season, sigh! For those of us triathletes and cyclists who live in the more northern latitudes and parts of the world where sub-zero temperatures, ice and snow are the norm for the winter months, riding with a trainer, rollers, or on a spin bike are usually the only options to giving cycling specific muscles a workout. Ever since I have called myself a cyclist or triathlete I have lived in the land of snow and ice, far from balmy Vancouver Island where I grew up and one can ride outdoors year round! 1. Learn and respect your indoor riding threshold! During my first winter training for mountain bike racing I was living in Ottawa and rode my rollers in the dingy basement of a rental house I was sharing with other students. Midway through the winter I found myself burnt out of indoor riding and had to take a little time off to refresh my physical and mental motivation to ride inside again. Although I’ve known a few mentally tough (or crazy?! :)) athletes over the years who seem to actually enjoy and/or can tolerate many hours per week of indoor riding, it’s best to respect how many hours per week you can personally handle mentally in order to optimize your time on the trainer and pace yourself until the snow finally melts! 2. Use every motivational tool you can. If you’ll be riding the trainer for several weeks or months at a time, it can be worth getting a lactate test done with a coach to find out your training zones with heart rate and watts. That way you can gauge your efforts, and monitor whether you’re overdoing it as well. While riding nowhere, rides that focus on your heart rate, cadence, and wattage can be welcome “distractions” to pass the time productively. Add in your favourite motivational music mixes and you’re ready to go! 3. Have a detailed ride plan. When I ride at home solo, a 90 minute plus trainer ride takes a lot less mental energy when I have a detailed down to the minute plan to follow. I’ll use one of my workouts after teaching spin classes for many years, or get one from my coach. With a variety of efforts (heart rate or watts), cadence, standing, sitting, and one-legged exercises to all taped to the wall beside me, the time goes by much faster with a quality, focused plan to follow. 4. Choose TV/movie watching or radio listening wisely. Some rides are meant to be just steady aerobic rides, and these ones can be the best ones to choose to watch a movie or TV or listen to the radio instead of rocking out to motivational tunes. I also like to spend time on my rollers instead of the trainer for these types of rides which also helps improve balance and pedalling coordination, as well as being closer to simulating outdoor riding. However, I usually don’t choose to watch TV during intervals since I associate it with relaxing and chilling out and I think my legs subconsciously start to pedal slower when I watch it – one exception would be watching Tour de France type footage where you can focus on matching the pedaling cadence. When first learning French I also learned that listening to French radio while riding to work on my comprehension skills only made me fatigue even faster while indoor riding because of the brain power depletion it took to focus! 5. Train with a group as often as possible. There is always more energy and motivation in numbers! If you can join or even teach a spin class for a ride or two a week, it keeps you accountable to keep riding and is a good change of scenery from riding at home. Group movie rides in a friend’s garage or basement are great. In Calgary, our Critical Speed triathlon training group does famous bimonthly 3-5 hour indoor brick sessions (a mix of riding, track running, stairs, and core conditioning) during the winter, which I could NEVER do on my own! 6. Cross-train! As related to point number one, when your indoor riding threshold is maxed out, cross-country skate skiing is my favourite method of cross-training. 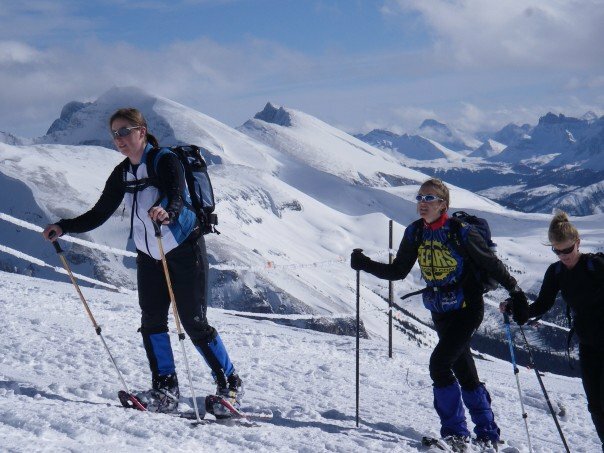 Even one day per week, things like snowshoeing, stair running, or even stairmaster and uphill treadmill running if you’re still stuck inside can be a nice change to the trainer while also still working on cycling specific muscles and strength. 7. Remind yourself of the few reasons indoor riding can be superior to outdoor riding. You can always periodically pump yourself up to ride the trainer with fun facts like it beats riding outside in 5 degree rain, its more bang for your time bucks, you can often push yourself harder than you might be able to outside by locking in the watts for intervals, and one-legged work, high cadence riding, and roller riding can improve your pedalling efficiency for when you hit the road again. It’s also not a bad time to remember the long-term perspective as to why you’re doing it in the first place, hopefully to prepare for a big event or some big races you have planned for next season! And of course it is our northerners secret to building mental toughness in the off-season! 8. Plan one (or two!) midwinter escapes to a warmer climate to train. If you are able to, planning a welcome break to a warmer destination mid to late winter is always a great way to break up the indoor monotony and have a shorter term goal to work towards and look forward to enjoying the fruits of your indoor work. When I lived back east, a big group of us from Ontario would pile in our cars every year at the end of March, and drive down to South Carolina for a week of riding in Table Rock State Park. It was beautiful riding and great motivation to keep the winter riding up in order to be fit enough to handle the miles ridden that week. Now I enjoy occasional winter escapes with my kids to my hometown on Vancouver Island. And if you can’t escape winter, even a midwinter excursion to back country or xc ski for a few days can be just as refreshing! 9. If all else fails, ride outside anyway! If you’re lucky enough to have an old mountain bike that can potentially get covered in snow, slush, and salt, throw on some studded tires with extra low pressure, and on those slightly warmer winter days – called Chinooks in Calgary – take a spin on the bike paths on lightly covered single track trails and have fun practicing your balance. If you can ride where there is not too much ice, blasting down a snow-covered hill and trying to stay upright is a blast when falling into the snow won’t hurt one bit either! 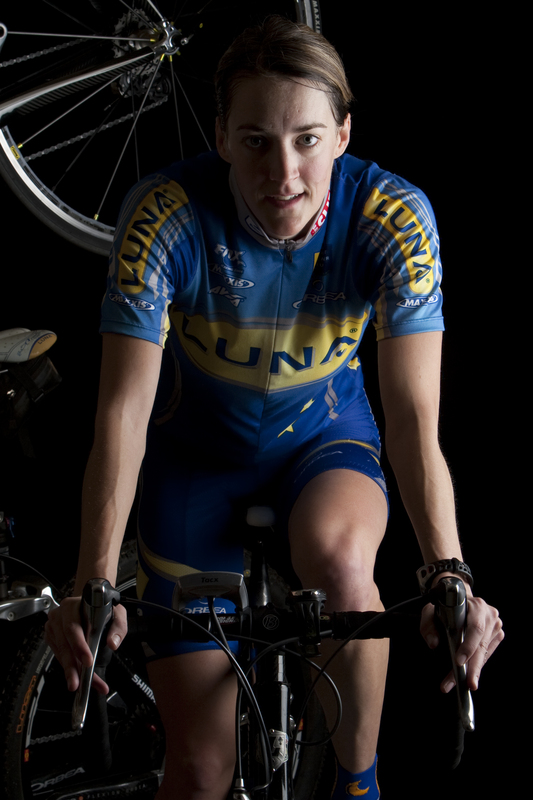 This entry was posted in Training Tips and tagged cycling, motivation, sport psychology by Danelle Kabush. Bookmark the permalink. If you are ever out in the Kelowna area this winter, come join the BPR Squad and I for one of our many spin sessions!! Hey Danelle! These are GREAT tips for indoor training. Can I add 2 more to your list? 1-Circuit train. Every 30 mins (or whatever interval works for you) get off the bike and do resistance and core exercises for 15 mins, then return to your trainer. 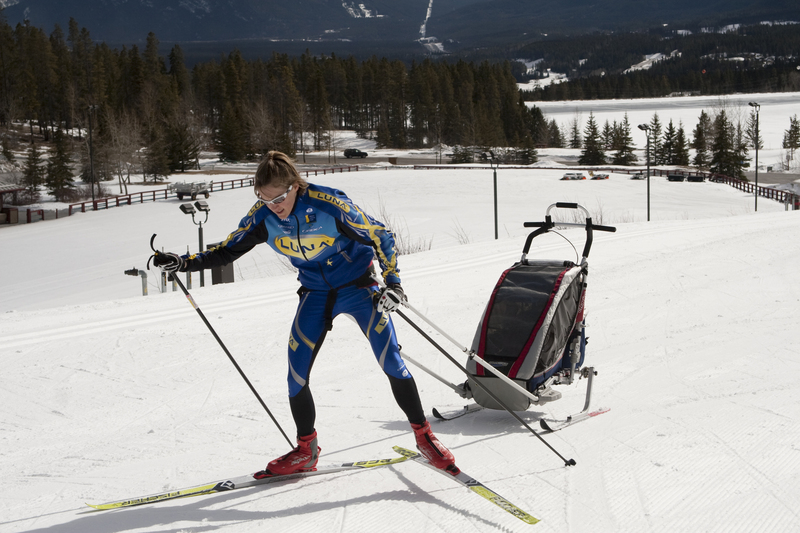 2-For those long days, combine cross training with indoor training by doing 45 mins-1 hour on the indoor trainer, then get outside for another 1-2 hours (snowshoe or xc ski), eat some food and see if you can get in another 45 mins-1 hour on the trainer. The hours do not have to be consecutive, and during the cross training, bring the family along! Dara! Great additional ideas, thanks! On those mix it up indoor/outdoor days I’ve learned, especially with kids, that I just have to be prepared that getting the training done will take the ENTIRE day! Ha! Awesome article D! Well written with fantastic advice. Staying in good shape really is not that hard when you follow all your tips. I particularly like blasting off to Maui mid winter for some warm weather riding! Coaching perspectives and life lessons of a Sports Psychology M.A.